While you may have gotten used to the daily routine of graduate school or teaching, presenting at a conference, or even just attending one, can be a whole different activity. 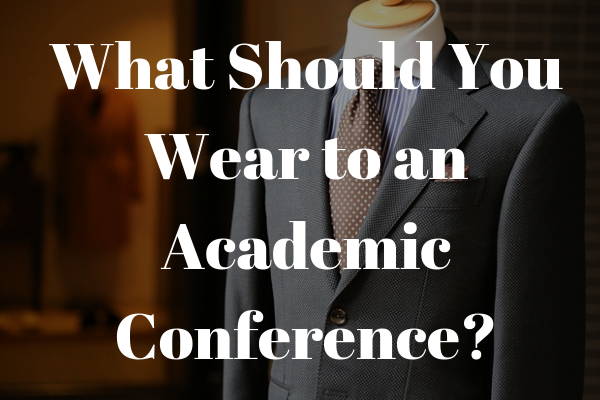 In this post, we’ll give you some general guidelines about what’s appropriate, what to keep in mind and what absolutely to avoid when dressing for an academic conference. We hope that this advice will allow you to mark one small thing off your checklist, thereby allowing you to focus on the more importance aspects of attending an academic conference. Regardless of gender or age, there are a few basic things to be aware of. If you're looking for an event to attend this year, check out our conference listings. Never wear linen, unless your conference is taking place on a tropical island. Bring back-up options, so if one shirt is wrinkly you can go with another. Wear dark colors – they’re universally flattering and hide wrinkles. Pack layers – you might be in a room with air conditioner for one talk and a veritable sauna in the next, so it’s best to be ready. It’s always better to dress up than down. While “business wear” can mean a full suit for some folks and jeans and a nice top for others, it’s better to be the only guy with a tie than the only one without. No matter what time of year, shorts are never a good choice, as they come across as too casual. For women, skirts and dresses are fine, but nothing too tight or short, as this can seem unprofessional. A nice blazer or scarf can dress up a plain outfit. Be aware of what you’re wearing on top though – as a general rule you shouldn’t show any cleavage, as it can be distracting or even offensive, and it’s better to just err on the conservative side. If you’re presenting for the first time, remember that your presence can be nearly as important as your presentation. In order to seem professional and poised, avoid large jewellery or busy prints, and make sure your hair is not hiding your face. Women can wear heels, but make sure you’re comfortable walking and standing for an extended period of time. Aside from this, whatever you're wearing you should try and be as confident as possible when presenting. Squaring your shoulders, standing straight and having your legs at shoulder width apart is a body position that suggests confidence and authority. Doing something like this makes you look assured and assertive, which is just as important as looking smart. 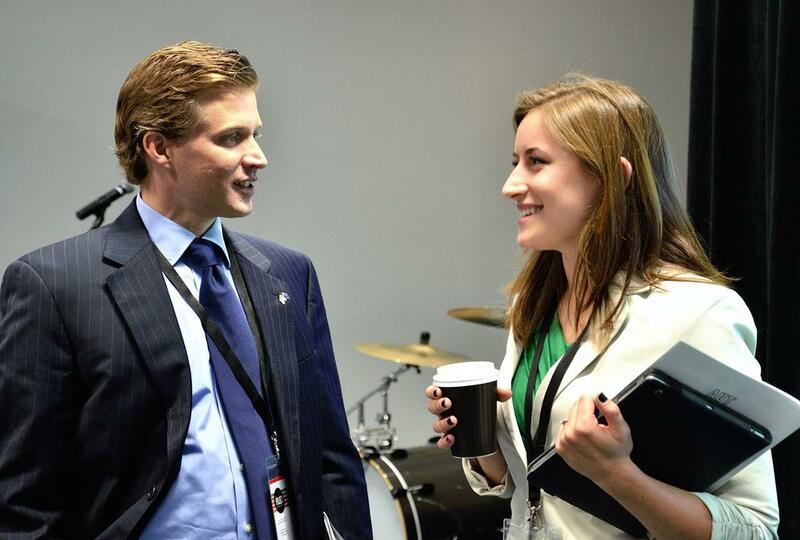 Finally, if you’re unsure of the basic dress code for a conference, don’t be afraid to ask. Some disciplines are generally more formal than others (finance versus computer programming, for instance), so generalities only go so far. The conference organisers should provide you with guidelines, but it’s perfectly fair to bring it up if it’s unclear. Moreover, don’t feel pressured to completely let go of your personality in favour of a professional wardrobe. As long as you feel comfortable, you’re more likely to come across as confident. Interpret our suggestions as they make sense for you, and just remember to bring a few extra options for surprise occasions like extra dinners, unexpected weather changes or other unforeseen circumstances.